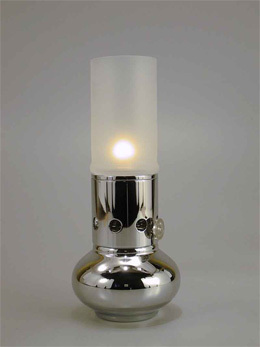 The Ellipse table lamp has been produced since the beginning of the 1980ies. First in Sweden and in 1991 continued by E.S. Sørensen in Denmark. This version of the Ellipse table lamp is a collectable. In 2008 we proudly introduce the Ellipse II table lamp in 3 versions; polished brass, polished stainless steel and brushed stainless steel. 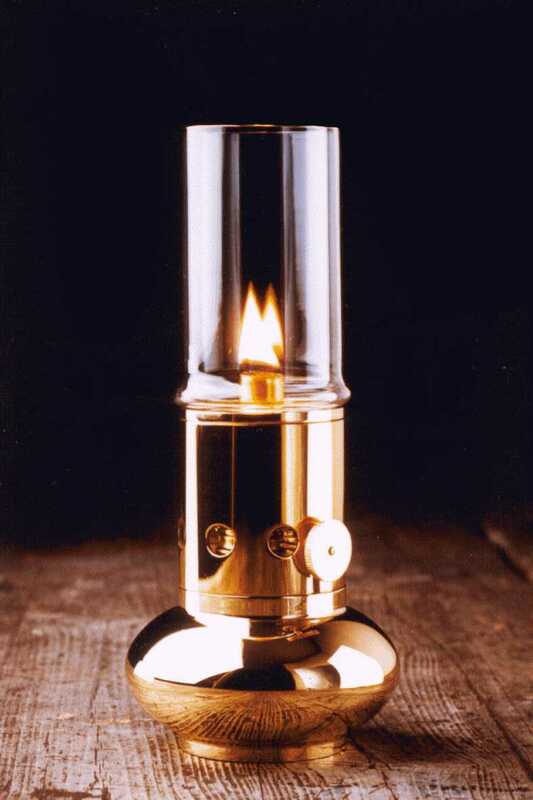 Unfortunately we were forced to stop the production of the brass version in 2014; our supplier couldn't meet our quality standards. However the stainless steel versions are still available. The chromium plated version was introduced in 2002. 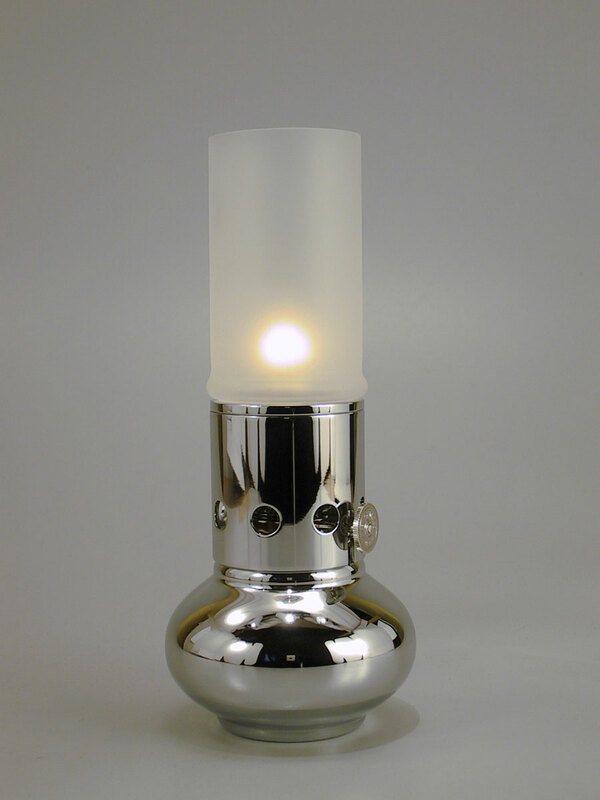 In 2004 we introduced the chromium plated version with a frosted lamp glass. 8''' circular burner. 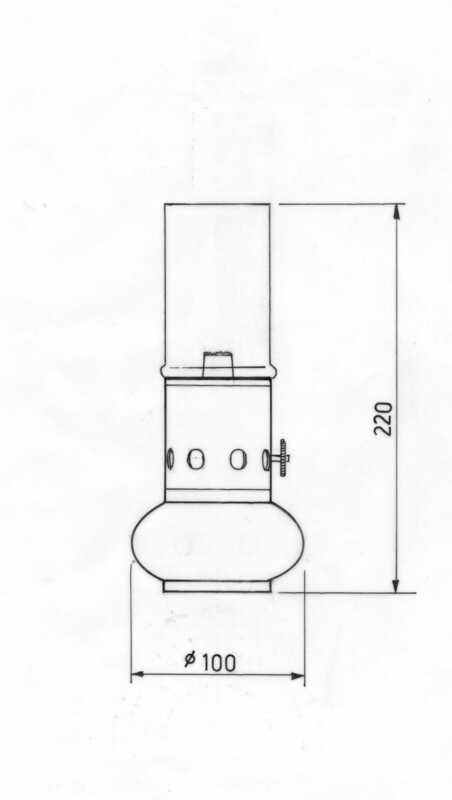 Height 220mm.